If you feel like you typically have to sacrifice one consideration in order to get the two, you need to talk with your electronics manufacturing service about Design for Manufacturing. Without Design for Manufacturing (DFM), you run the risk of manufacturing unnecessarily expensive components using costly production methods. 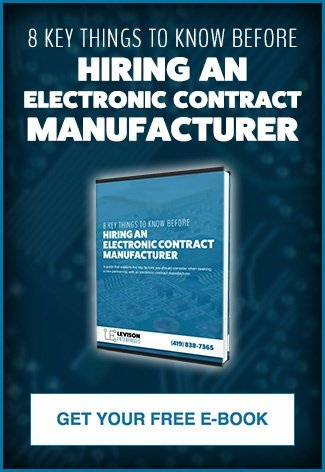 Working with an electronics manufacturer who utilizes DFM production processes produces better overall projects, from design to manufacturing, and reduces costs without sacrificing quality or performance. The basic principles of DFM encompass best practices around parts, finishes, assemblies, and processes. The best DFM practices around parts involve using standardized parts whenever possible, minimizing the total number of parts, and minimizing the number of times a part must be manipulated during assembly. Using standardized parts means parts that are more widely available, have a known source, and can be counted on for consistent performance. Non-standard parts will likely take longer to produce and have an unknown quality. Standard parts shorten the time and cost of moving a product from design to production and reduce the unknowns. Reducing the number of parts is not only a great way to reduce costs, it minimizes options for failure in the manufacturing process and beyond. This translates into easier maintenance for the end-consumer while keeping supply costs low for the manufacturer. Finally, the less a part needs to be moved, adjusted, or manipulated, the less special training required to complete your part’s manufacturing process. When DFM is properly implemented, a part’s manual interaction will be minimized, again reducing the time and cost it takes to complete its manufacturing. Sometimes a design can be too focused on visual appeal and forget that the main priority for an electronics manufacturer is the function. Finishes that improve a product’s aesthetic should be reserved only for products that truly need it. Otherwise, design for manufacturing principles will lead you to a less expensive finish and a less expensive overall product. Like with parts, DFM looks for standardized or modular assemblies. Cost and time are again factors that add up when a design is not created with manufacturing in mind. Simplification is the name of the game with design for manufacturing. This includes the manufacturing processes themselves. For a full range of benefits from DFM, straightforward, proven and cost-effective processes are necessary. Untested or complicated processes are likely to produce errors, costly slowdowns, and lower quality products. How does an Electronics Manufacturing Service Implement Design for Manufacturing? 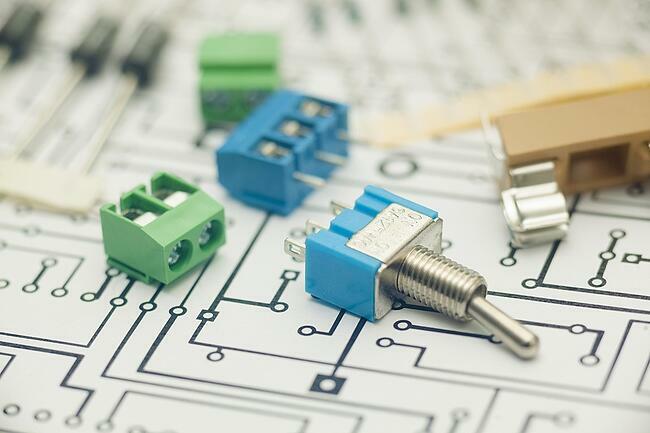 There are five key components that an electronics manufacturing service will look at when applying design for manufacturing principles to your product. These include the design itself, a review of the manufacturing process, environmental effects, sourcing materials, and testing. The product’s design is foundational to achieving a cost-efficient, functional and quality product. If the design is not set up for efficiency or the electronics manufacturing service is not committed to DFM, the process will not be optimized. Regardless as to whether or not the company uses design for manufacturing, it is imperative that the design will incorporate solid manufacturing principles. If a design is created without consideration for manufacturing, it is bound to have problems when the product reaches the manufacturing stage. But, in order to fully implement DFM, design and manufacturing teams must communicate effectively. If there are specifics that need to be weighed by either team, this should be completed before manufacturing begins in order to minimize the need to start over or adjust mid-stream. There are three ways to look at the environmental impact of a product: how the materials themselves impact the environment, how they will perform in their operating environment, and how they will impact the environment after they are no longer in use. Ideally, materials will have minimal impact on the environment at procurement and after use. Manufacturers increasingly look to recycling, reuse, and responsible disposal to answer these questions. DFM also carefully considers the environment where a product will be used to ensure it can withstand the extremes of that environment. Sourcing materials while applying design for manufacturing looks back to the discussion on parts and also environmental considerations. The aim is to use standardized parts and simplified manufacturing to produce a product that will operate effectively in its designated environment. This also assists with balancing inventory demands and helping to keep the manufacturing costs of the product low. Testing for compliance standards is a final important component of design for manufacturing. The testing stage is where quality and function are tested to ensure that they are not sacrificed in the name of cost savings. Testing is a part of any good design that uses DFM principles. You need high quality, reliable products, delivered to you on time and under budget. Your consumers are price conscious and technology demands faster and faster production. Design for Manufacturing can cut down the time, cost and risks associated with delivering your quality, reliable product, while staying under budget. Levison Enterprises can optimize the manufacturing process for your products and support the success of your products with a variety of other services. In addition to our manufacturing and DFM analysis capabilities, we also offer our customers order-fulfillment solutions. Instead of funneling your products through multiple vendors, contractors, and distribution facilities, you can have your whole supply chain managed by Levison Enterprises. We take customer satisfaction very seriously, so you can be sure our team will always be available to assist you with any aspect of your contract. Get in touch with us today to learn more about our DFM analysis services.